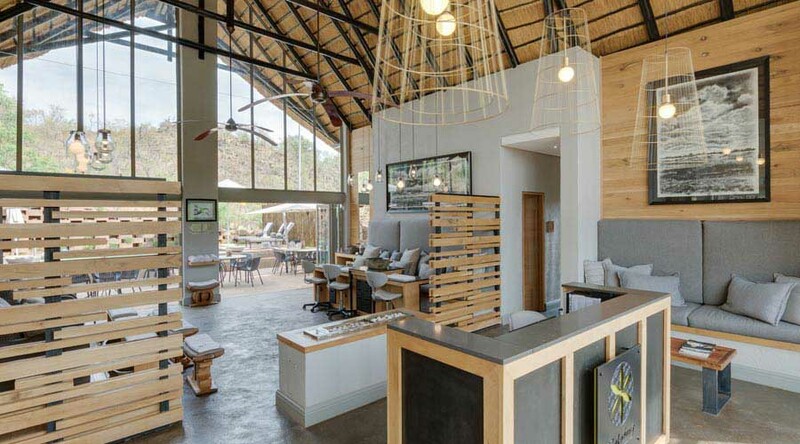 The swimming pool is located next to the cocktail bar so guests may enjoy a delicious drink or meal either in the shade of the bar or by poolside for the sun lovers. 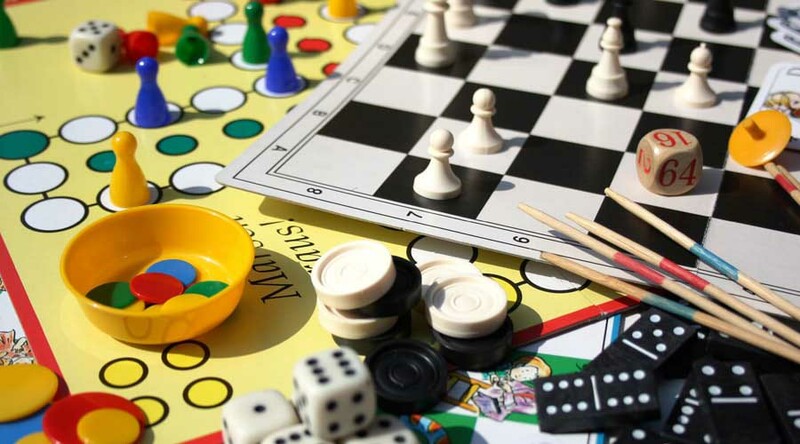 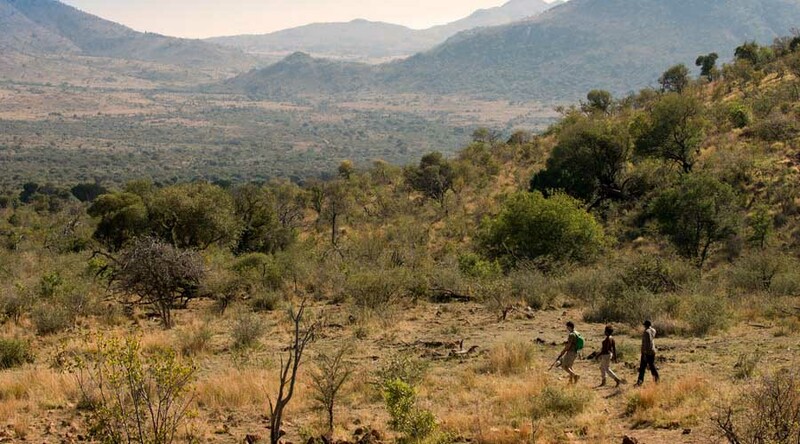 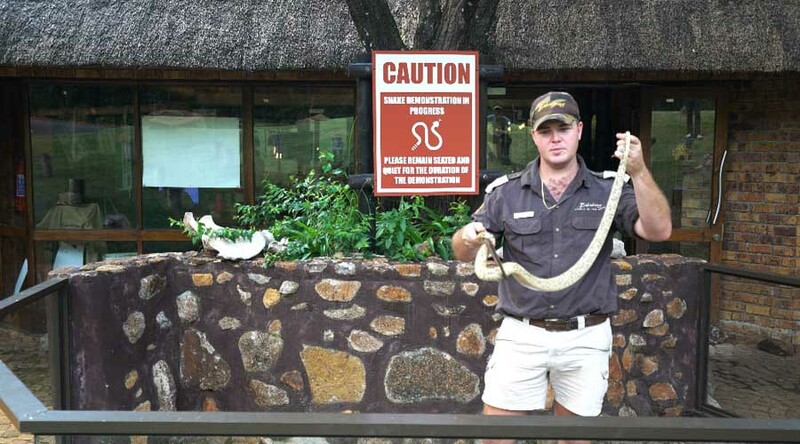 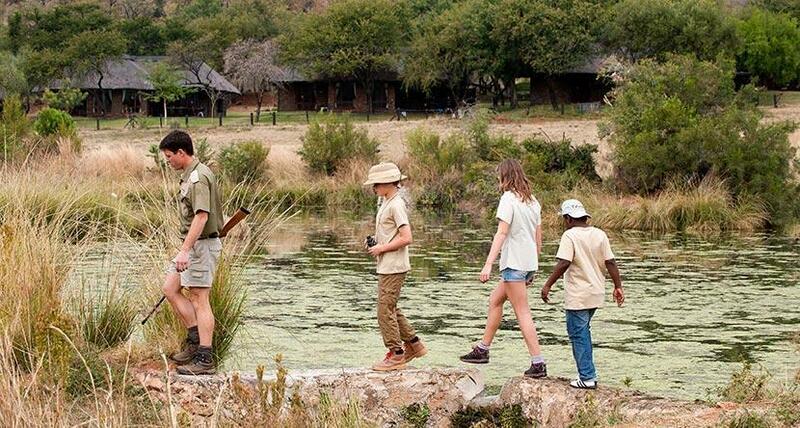 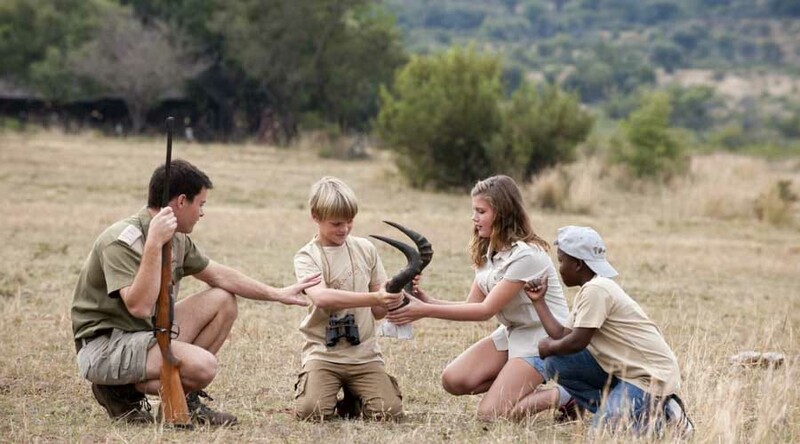 Apart from Game Drives, Bush Walks, birding and in-house entertainment, Bakubung have developed something even more engaging, the Junior's Ranger Program. 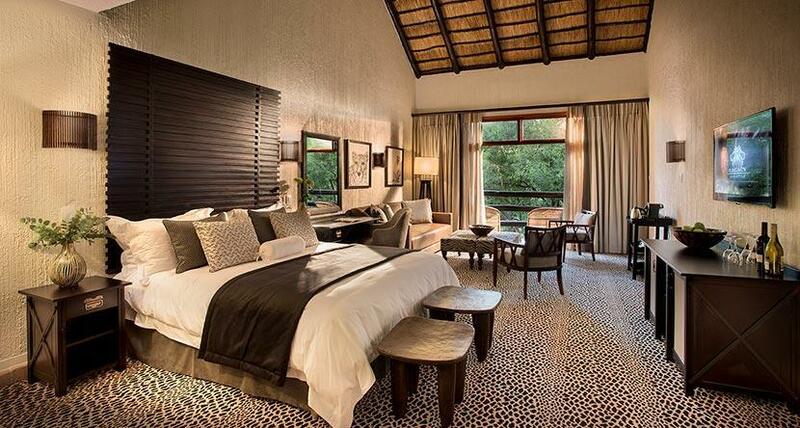 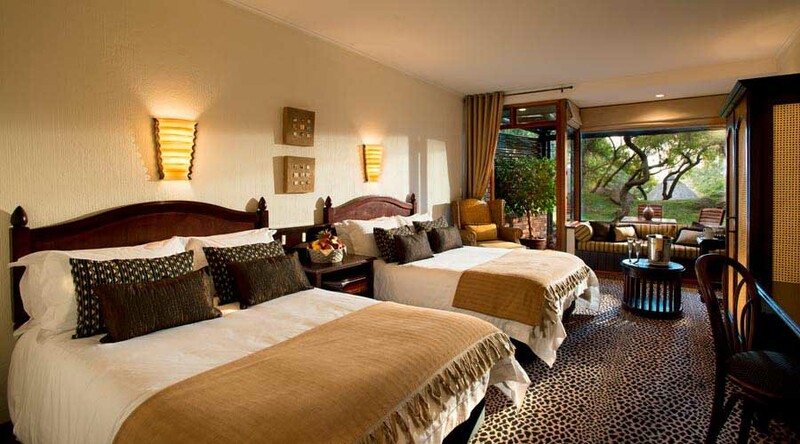 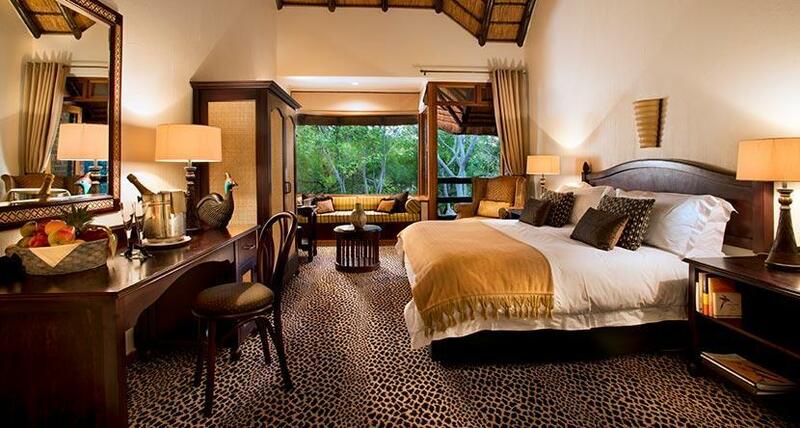 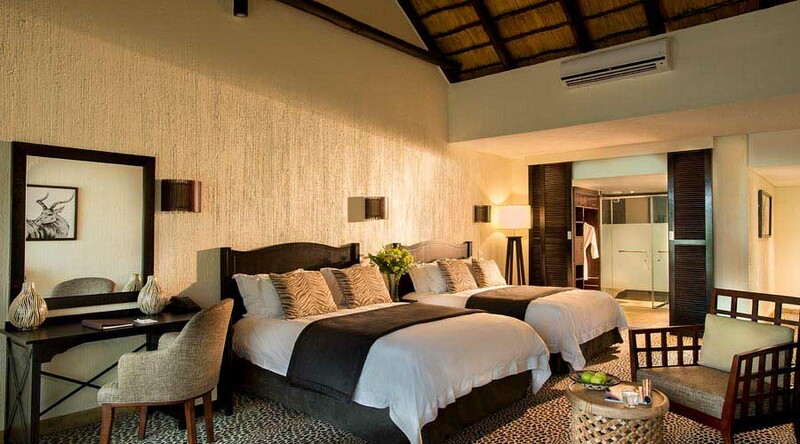 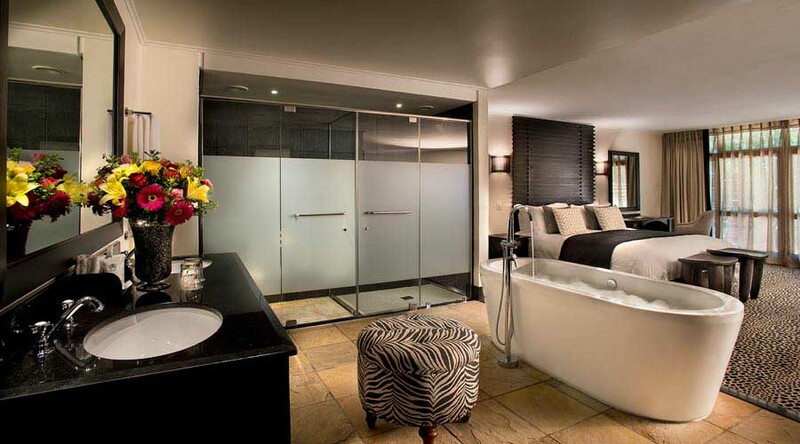 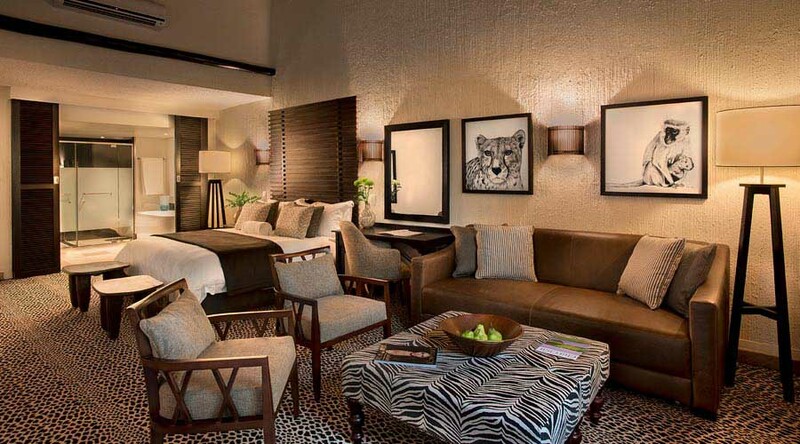 Luxury King Rooms - The room consists of one King Size bed, bath, separate shower, lounge area & minibar on request. 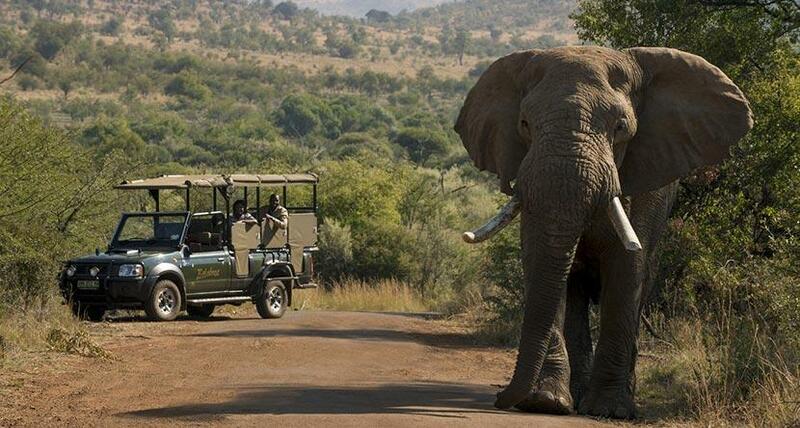 Experience the BIG 5 with our trained field guides who will also show you Africa's other beautiful fauna and flora. 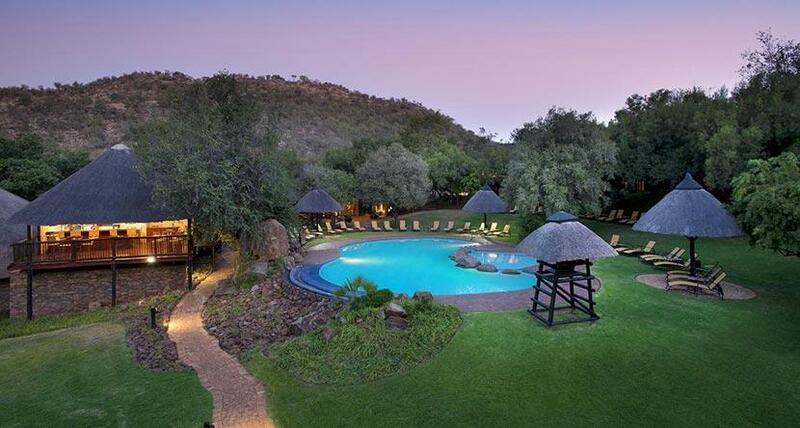 Explore the stunning beauty of the Pilanesberg National Park from the luxury Bakubung Bush Lodge, nested in the game reserve’s heart. 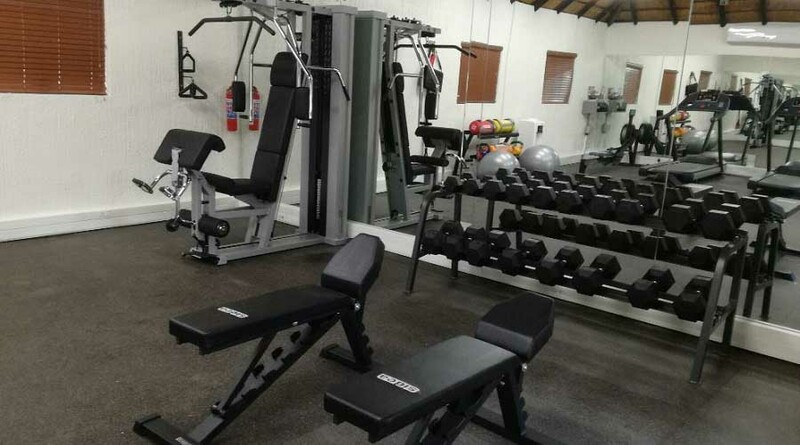 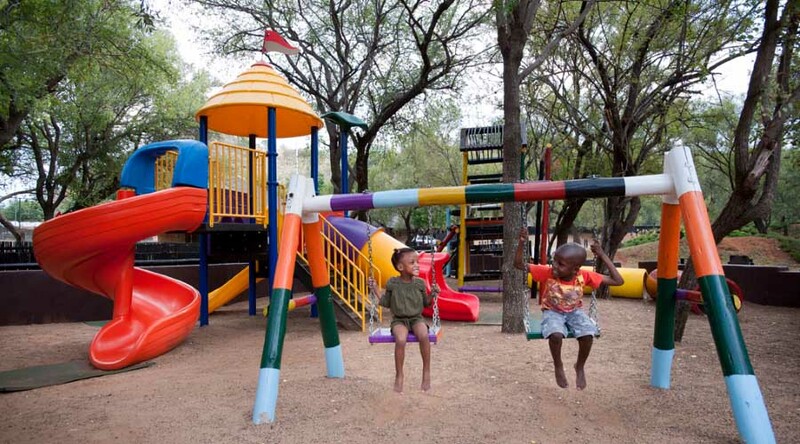 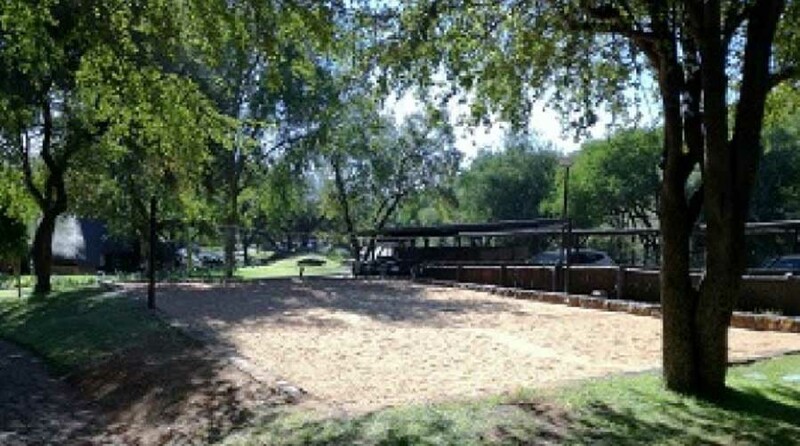 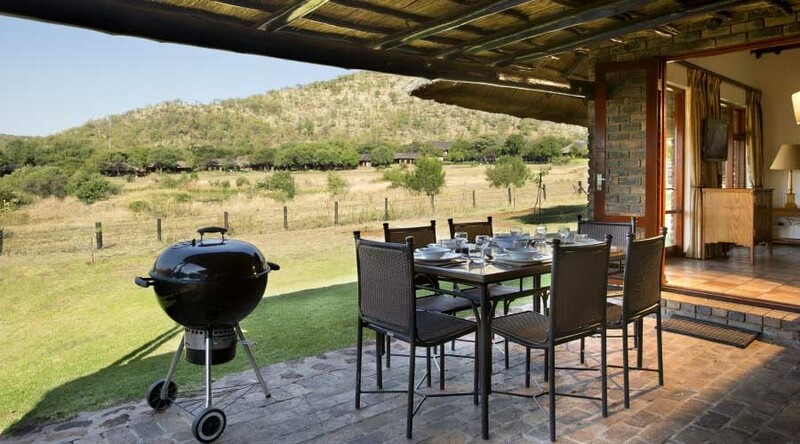 Bakubung, or “People of the Hippo” is situated at a mere 2-hour drive from Johannesburg, providing you with an easy access to the city’s hectic life. 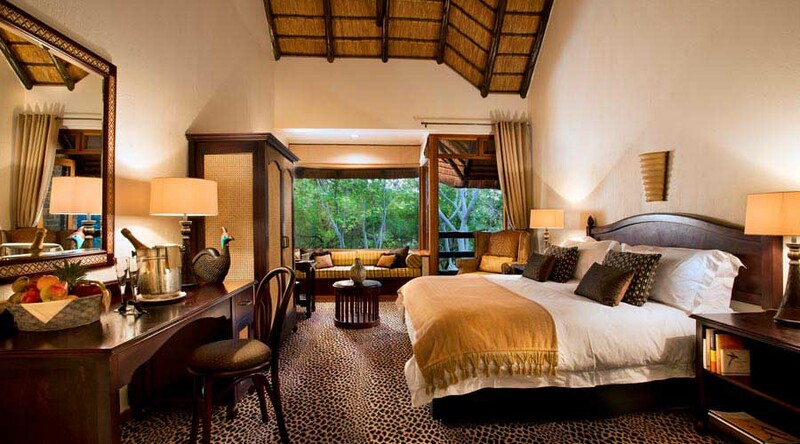 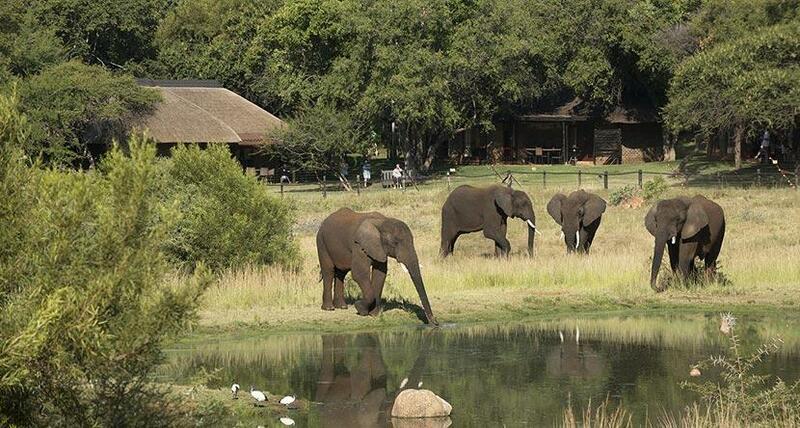 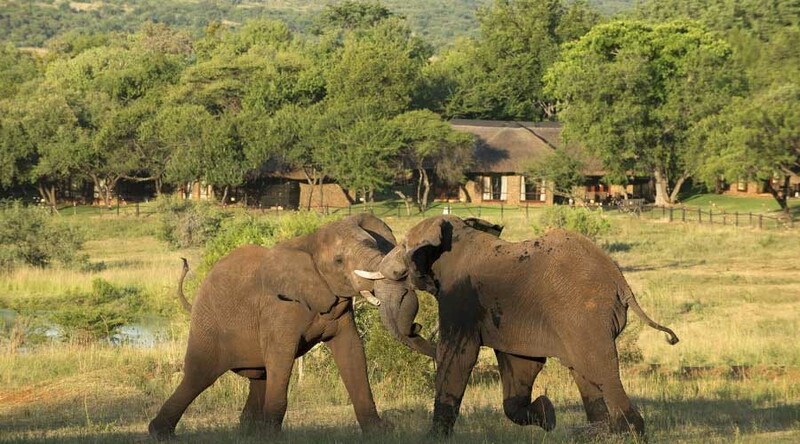 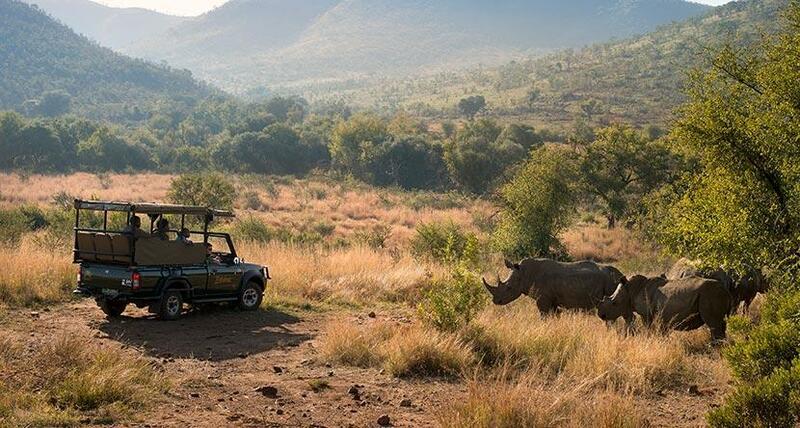 Get to know the thrilling fauna of the Pilanesberg Game Reserve in a unique way from one of Pilanesberg’s most comfortable and luxury accommodations. 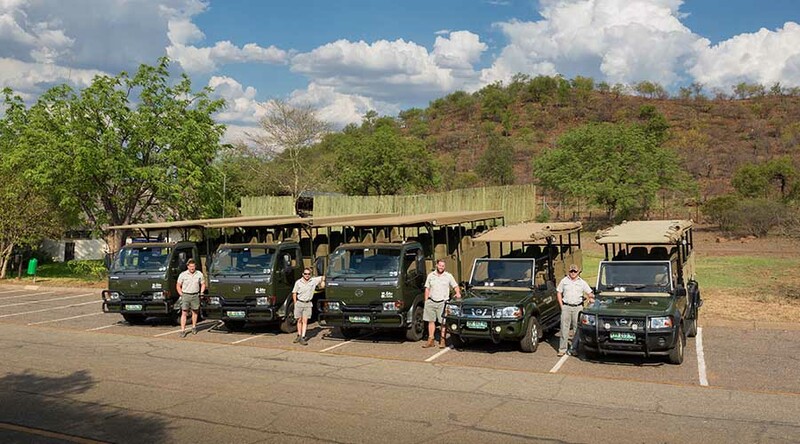 The Bakubung Bush Lodge comes equipped with all the amenities you need for an amazing holiday experience along with endless opportunities for big game viewing in a malaria-free environment. 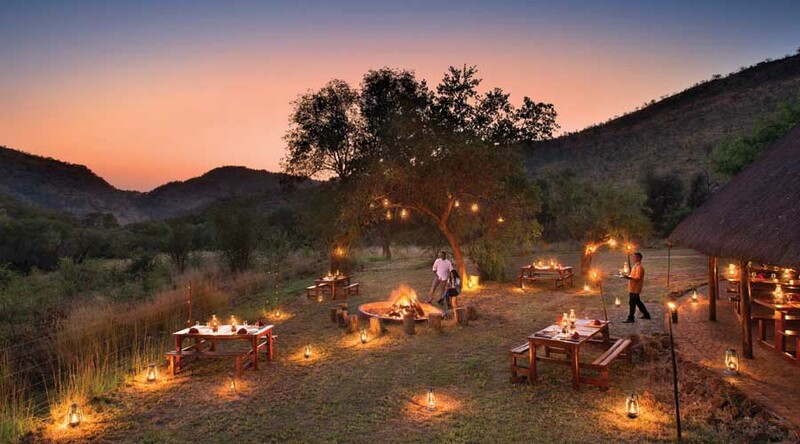 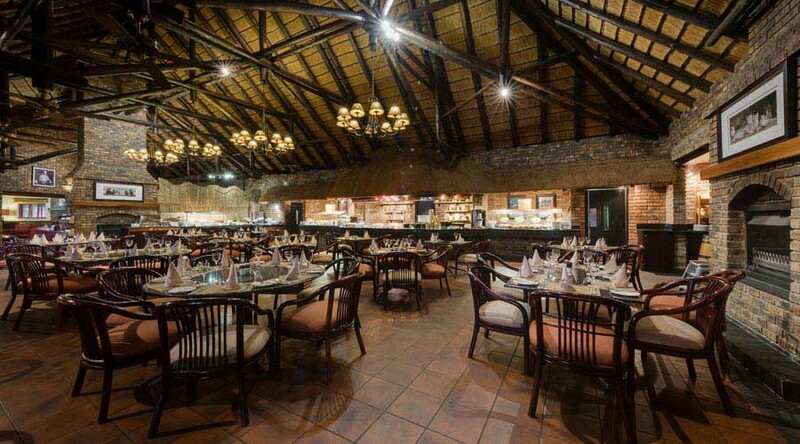 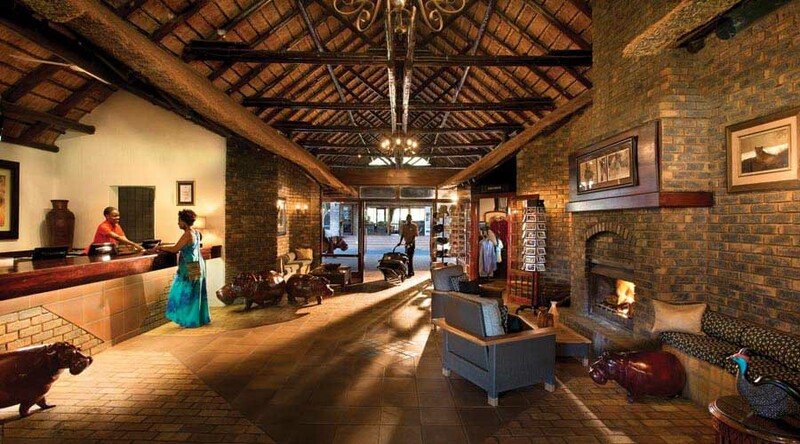 Spend an unforgettable day in the Pilanesberg National Park – game drive is included in the daily price – then enjoy your complimentary dinner and don’t forget to try out the African-themed spit braai, served every Friday. 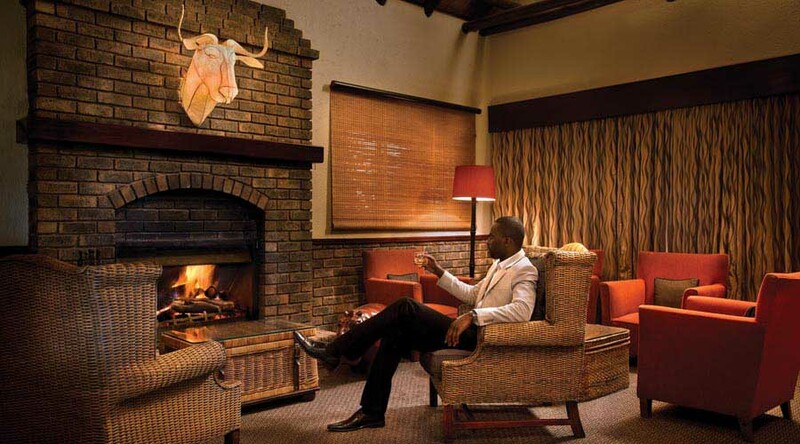 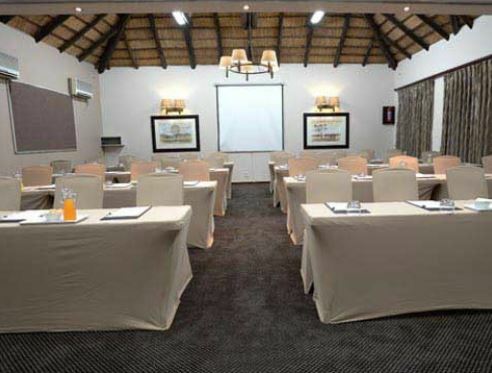 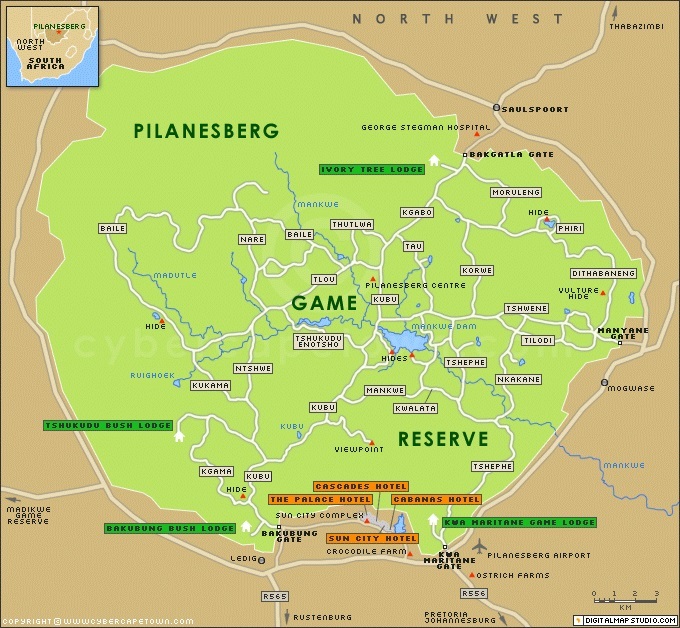 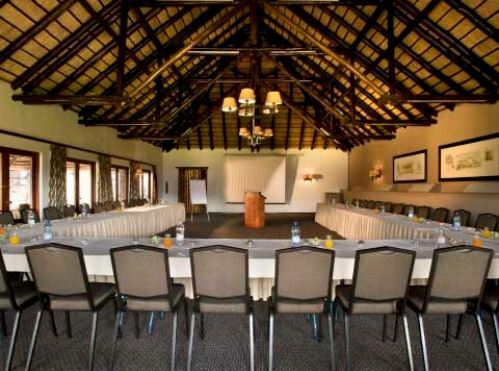 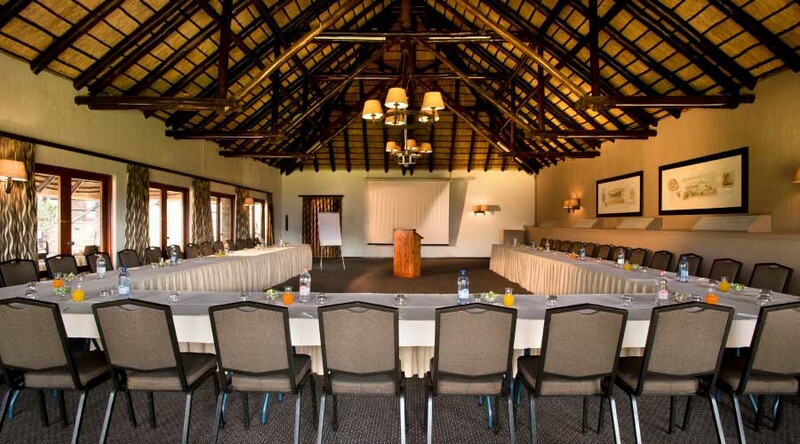 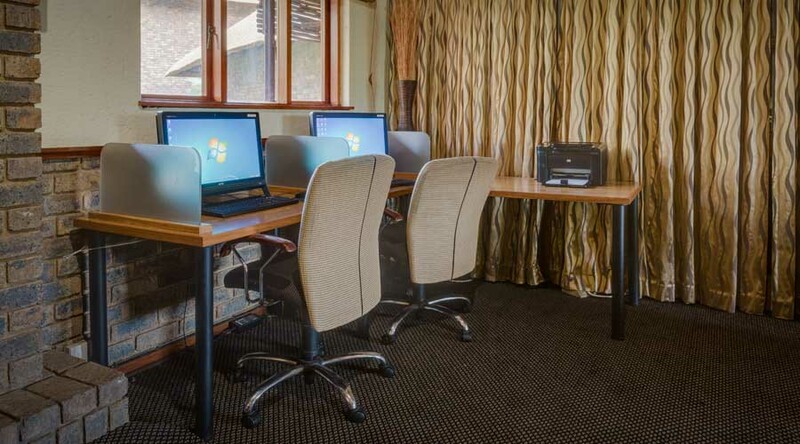 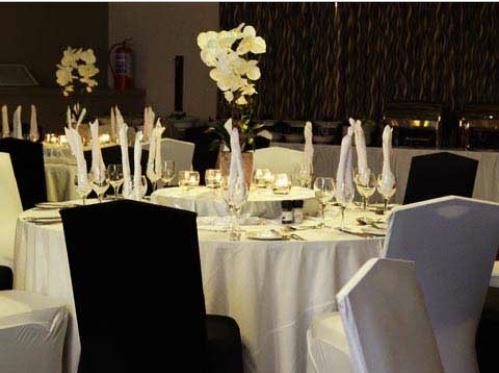 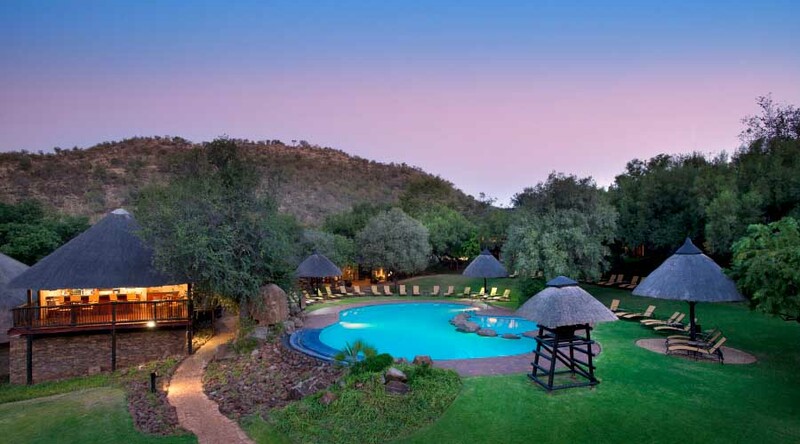 Experience the Pilanesberg Game Reserve in the best possible way and get in touch with nature from Bakubung Bush Lodge, Pilanesberg’s most comfortable luxury accommodation.